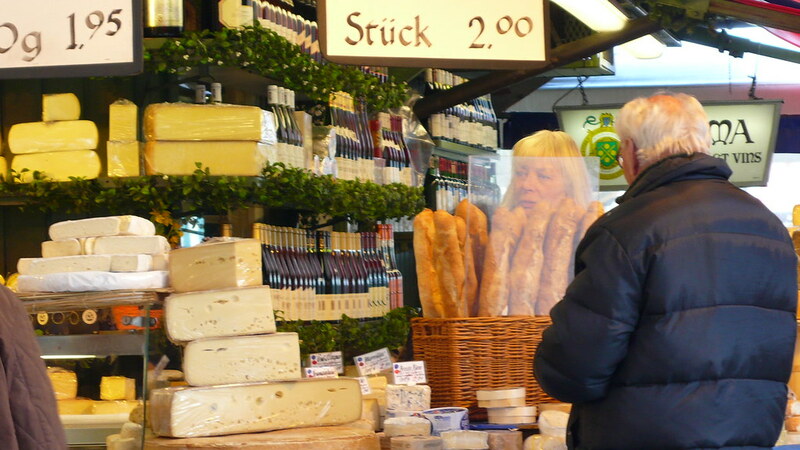 Viktualienmarkt is one of the oldest markets in Munich, selling a variety of speciality cheeses, meats, dairy products, honey, fish, fruits and vegetables. It occupies a space of over 20,000sqm (or 5 acres), and in addition to market stalls and shops, there is also a large beer garden and a Nordsee selling this chain's usual selection of seafood. 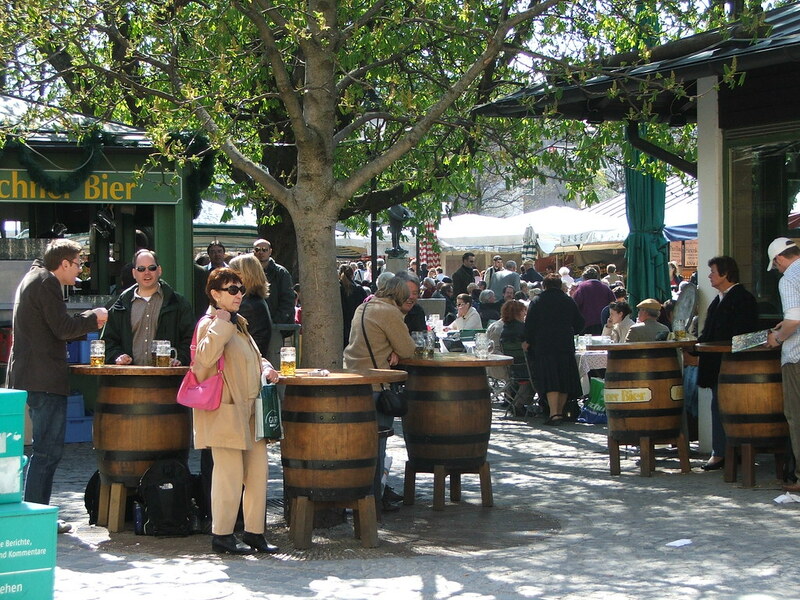 Originally the main market in Munich was held in Marienplatz, but at the start of the 19th century there was a need for expansion, so an area was cleared just a short walk away for the construction of what is today Viktualienmarkt. The square was heavily damaged in World War 2, however its fountains were restored, and the area somewhat redesigned to look as it is today. 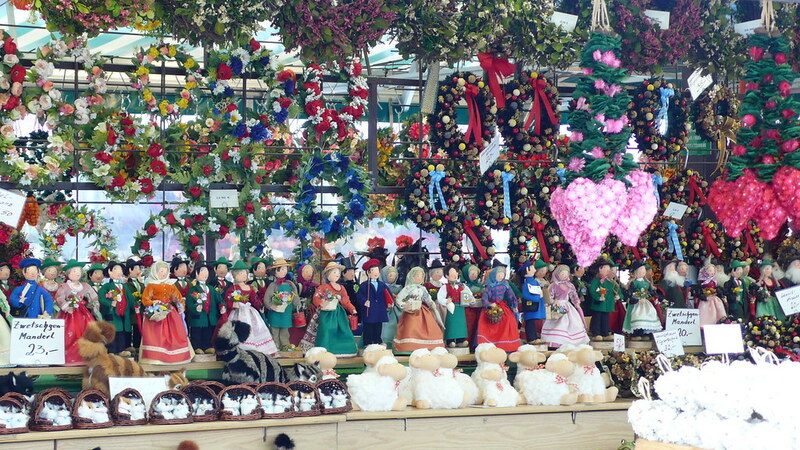 Viktualienmarkt is also the scene of a number of traditional events, and the site of Munich's Maibaum (maypole), which is raised on the 1st of May each year. 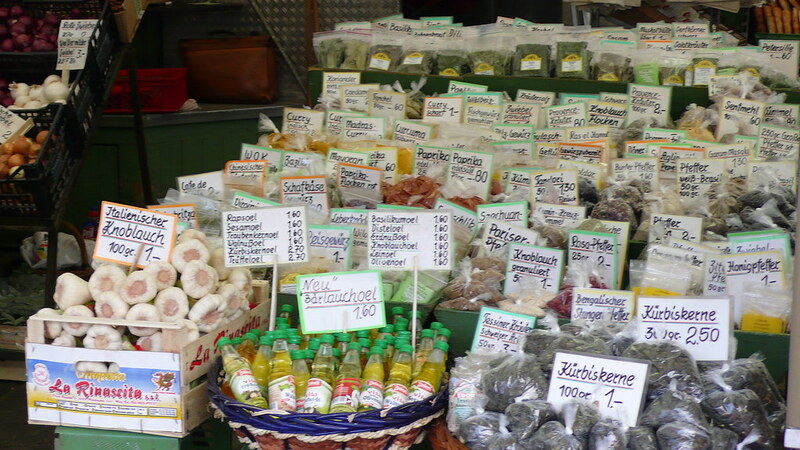 Prices here are understandably higher than at local supermarkets, however the quality here is normally very high and there are plenty of items here that could simply not be found elsewhere. 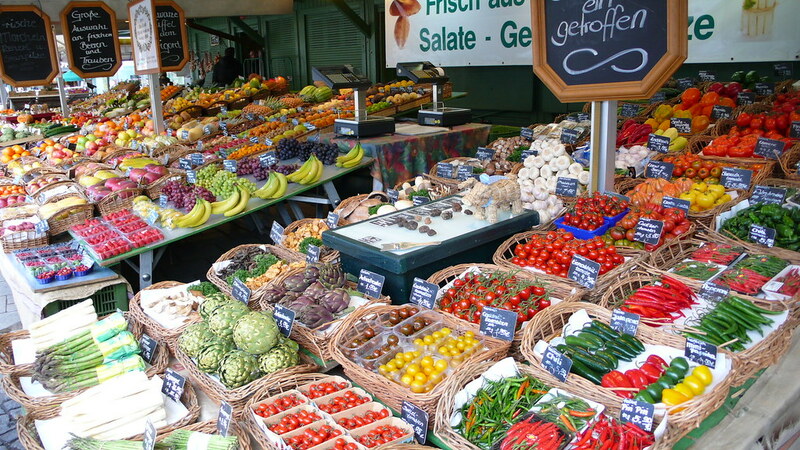 Viktualienmarkt is located directly in the city center, just behind the central square Marienplatz. 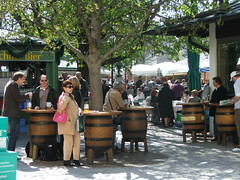 There are plenty of other attractions in this area, so it's likely that you will pass through this area while exploring the middle of Munich. Unfortunately, the opening hours of the market are somewhat shorter than the shops that surround it. 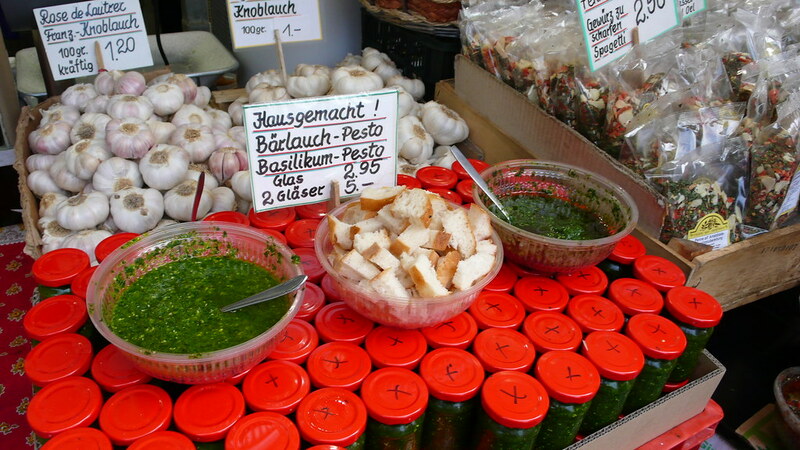 Although the busiest day of the week in the city center is Saturday, the markets still close at 3pm. 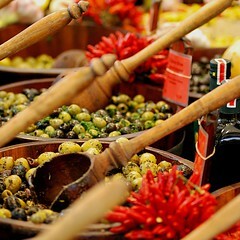 A lovely Market place with some interesting stalls. A fantastic smell of sausage and beer wherever you go. 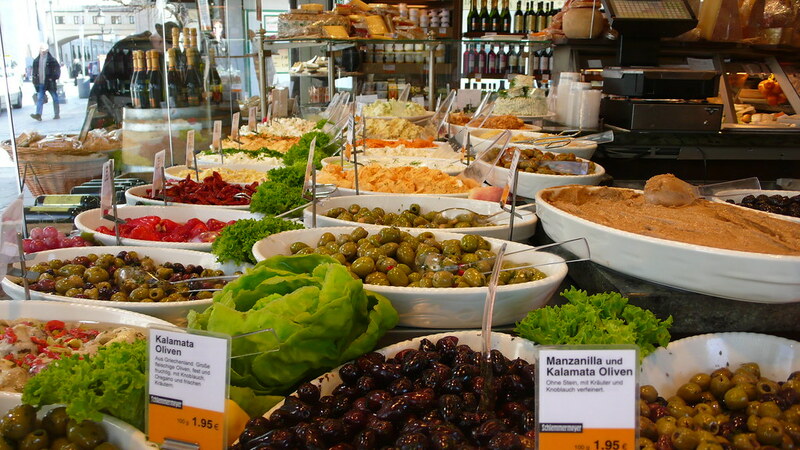 Easy access to the main shopping street in Munich, too. Have you already visited the Viktualienmarkt? If so, let everyone know what you thought about it by writing a review! No registration necessary. Just click here to start writing!